Blythe and friends try to help Sue overcome her reluctance to accept an award in front of the whole school while the pets delight in a sweet-smelling skunk day camper much to Pepper's dismay. Blythe gets viral video star Felina Meow to appear at Littlest Pet Street's Grand Opening, but she and the pets have to fly to her island home to pick her up. I don't know why everyone is comparing Littlest Pet Shop to My Little Pony: Friendship is Magic. It's like comparing apples to oranges. They have two different shows, different characters and stories, etc. Just because they look the same does not mean they are. It only appears that way because Hasbro makes both shows. 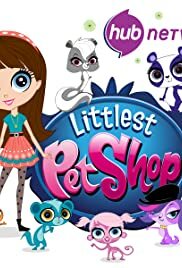 Besides, Littlest Pet Shop is not as bad as people think it is. 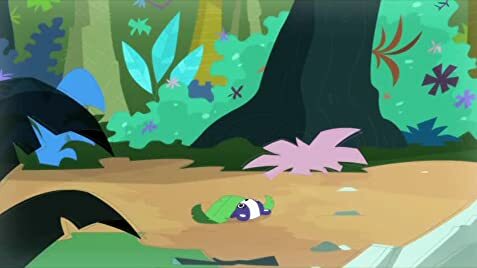 Many of the talents in My Little Pony: Friendship is Magic do double-dip in this series and it's what made me watch it in the first place. The stories are good, the characters are well rounded, I don't see anything wrong with it. I think many fans who loved My Little Pony: Friendship is Magic and Pound Puppies should give this one a try.